All faculty members have an important role in maintaining the quality of the library's collections through purchases made in the areas of their expertise. Purchasing requests should be made using the online form. Faculty members are allocated a budget each year for the purchase of library items. Updates regarding spending are given throughout the year. The library catalogue indicates when items have been ordered and received for processing. Staff will receive an email when the item is available for loan. Decisions regarding new serial titles are also made by faculty. 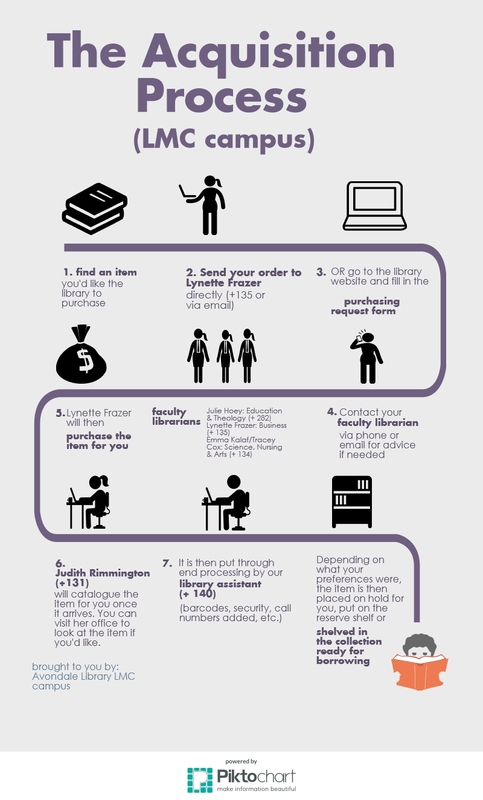 Sessional lecturers should contact their faculty dean to purchase items for the library collection.